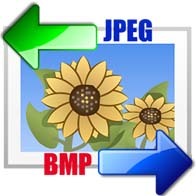 Convert images to JPEG, PDF, BMP, GIF, TIFF, DICOM, WMP, PCX, PNG. 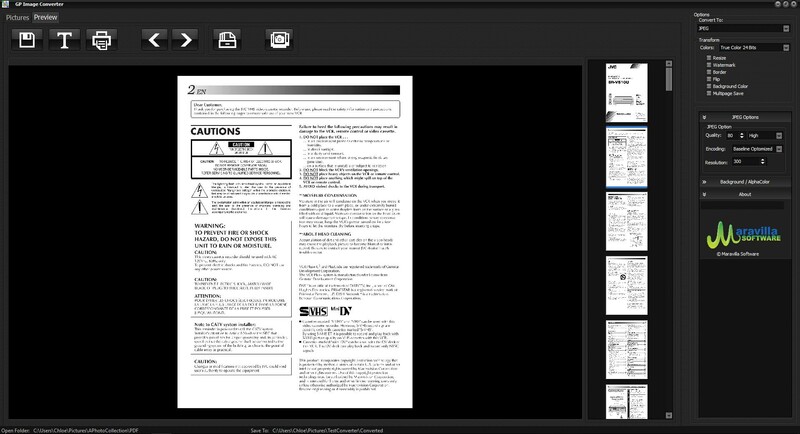 Extract Pages from PDF, GIF, DICOM, TIFF and save them as Pictures. 2. Select folder where new images will be save. 3. Check box for images that will be converted. 4. 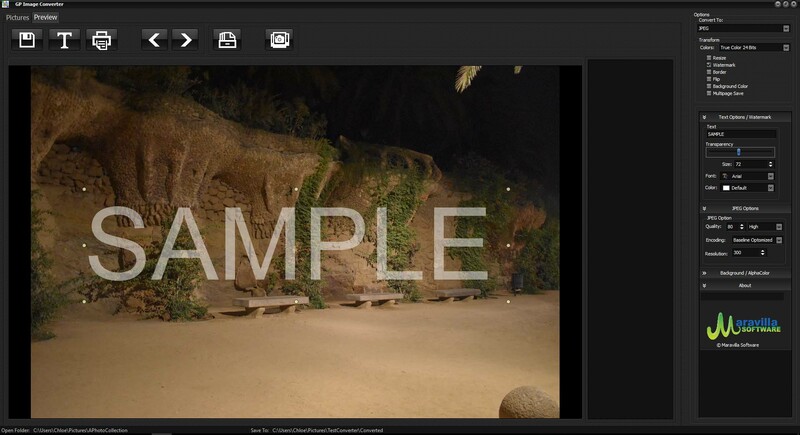 Select options from the right side menu to convert to other formats or modify size, colors, rotate. 5. Click the convert button and wait until the conversion and saving finish. Converted images will be in the save selected folder. Save single images from multipage documents by selecting the page in the preview tab. Select the image format you would like to save it as. 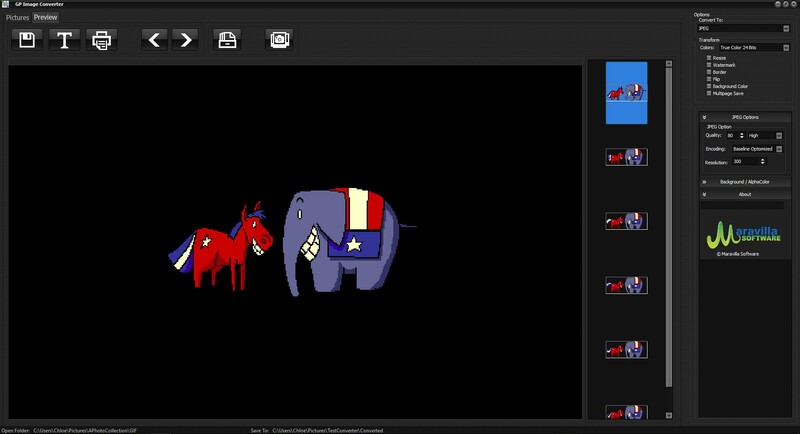 Can view animations for DICOM and GIF files clicking on the Play Animation button. 1. Select folder where images or files are located. 2. Double click on the desire file to open the preview tab. 1. Select folder where images are located. 3. On the preview panel click on the text button the one with the letter T.
5. Change color and transparency using the options menu in the right side. 6. Add more text clicking on the text button. 7. Delete text use the right mouse button. 1. To zoom in or Out use the mouse wheel. 2. Also using the right mouse button you can Zoom or Delete text. 3. 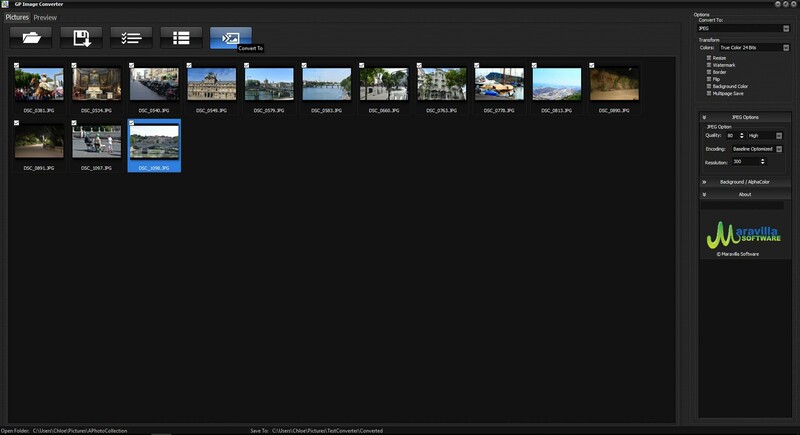 View the YouTube videos for GP Image Converter to see how easy is to use it. 4. Do not try to convert hundreds of images at one time, the program could take too long to process all the images if their are very large files.